This is a sponsored post in partnership with the New York Marriott at the Brooklyn Bridge. All opinions are my own. It’s no secret that I am pretty much in love with New York City. I take every chance I get to spend a few days in the Big Apple, but usually never venture very far from Manhattan. 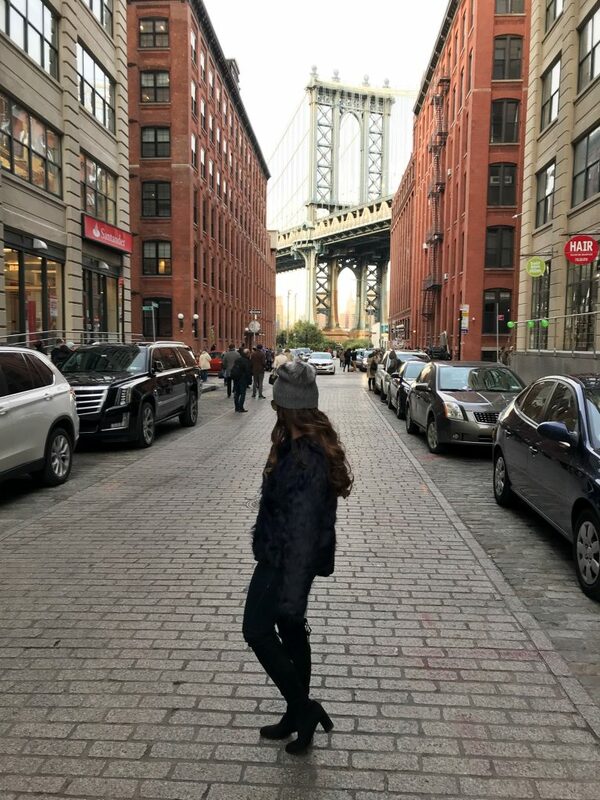 When I was presented with the amazing opportunity to spend a weekend at the New York Marriott at the Brooklyn Bridge, I was incredibly excited to discover Brooklyn and explore some of the trendiest neighborhoods in NYC. 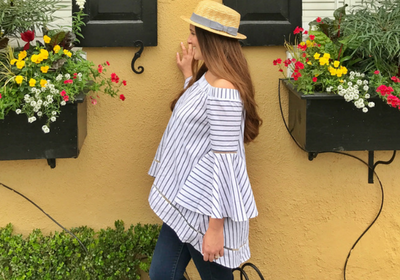 Here are some of the highlights of our weekend at the Marriott, and all the reasons why we loved the hotel. 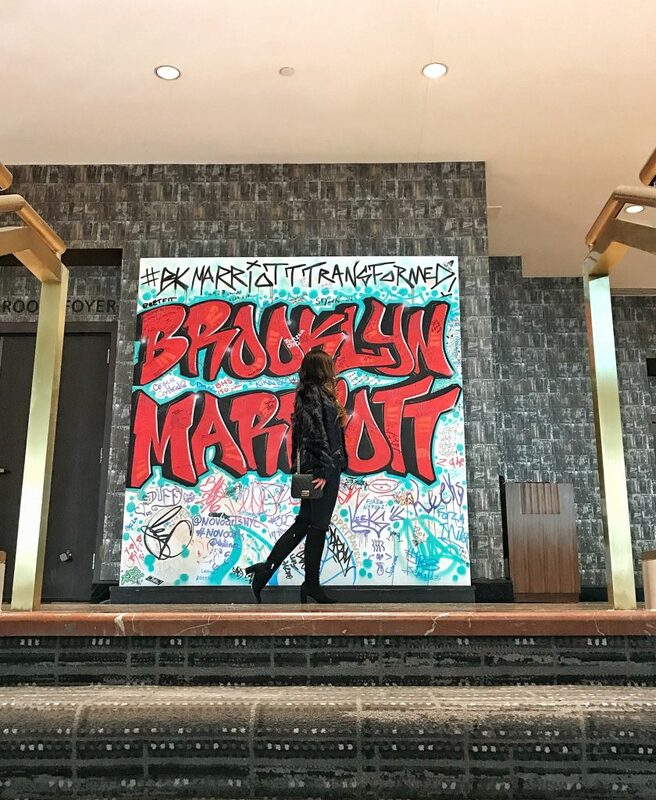 The New York Marriott at the Brooklyn Bridge truly embodies the spirit of Brooklyn: authentic, chill and effortlessly on trend. The hotel was recently renovated and the whole design inspiration was drawn directly from the borough of Brooklyn itself. The decor features colorful, locally-inspired artwork. The Brooklyn Pantry and The Bar both feature food and drink items from local Brooklyn vendors. Every detail was meticulously thought through to give you a real Brooklyn experience. 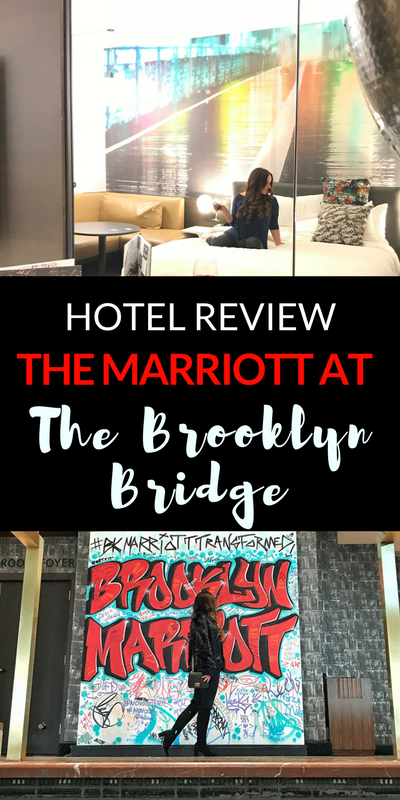 The rooms were the highlight of our stay at The New York Marriott at the Brooklyn Bridge. 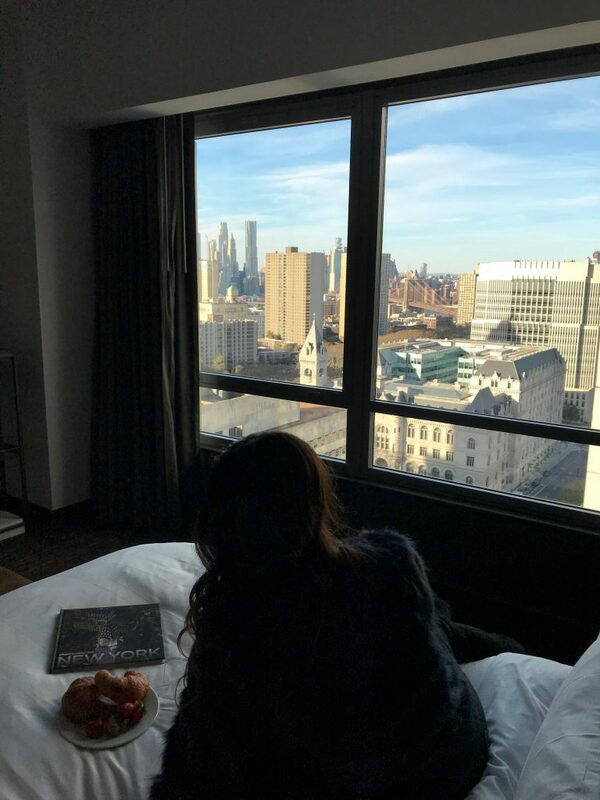 The plush bed and luxury bedding was extra comfy… If it wasn’t for the insane city skyline peeking out the window, I might have snoozed until lunch time. 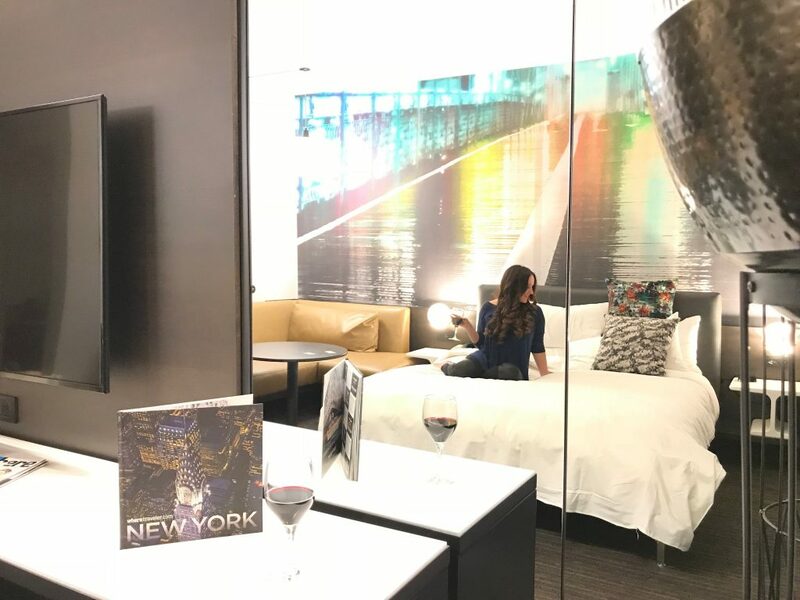 I loved the modern design of the guest rooms: a colorful statement mural, floor to ceiling windows, and statement lamps gave the space a sleek and trendy feel. The wall-mounted flat-screen TV gave us the option to sign in to our own Netflix account, which made us feel right at home. The spa-like bathroom featured premium products, which is a small detail I always notice and appreciate. We had dinner at The Bar located in the lobby of the hotel. The Bar featured locally inspired craft cocktails, locally produced wines from Red Hook Winery and a curated selection of tasty dishes. Everything we tried was absolutely delicious. The meat and cheese plate was my favorite part of the meal but that usually goes without saying! We also had breakfast in the M Lounge and sampled an amazing spread of breakfast fares. 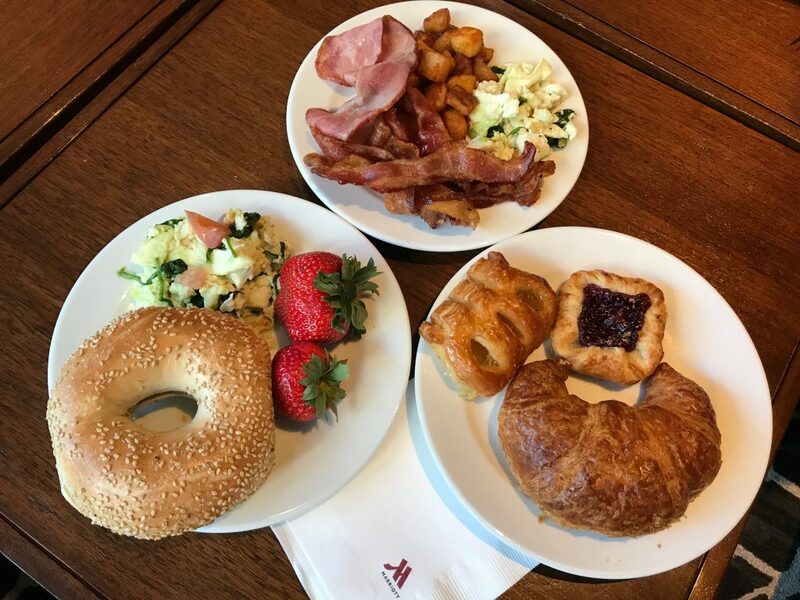 Fresh fruits, pancakes, pastries, eggs, bacon and breakfast sausages. Total breakfast goals. 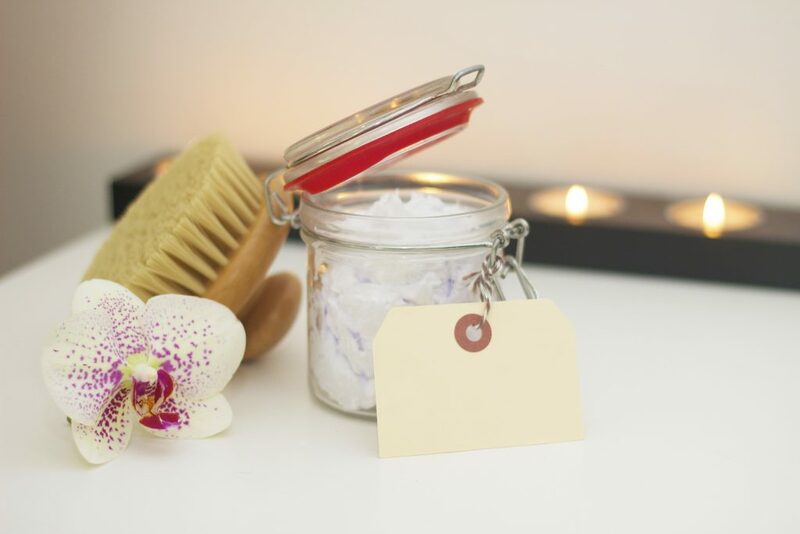 We didn’t get the chance to experience it during our stay but the hotel also has a spa, which is perfect to escape the hustle and bustle of the city wand treat yourself to an intimate treatment. The brand new fitness center and the indoor pool are perfect to take a break and recharge. The hotel is located right across the Brooklyn Bridge from Manhattan. 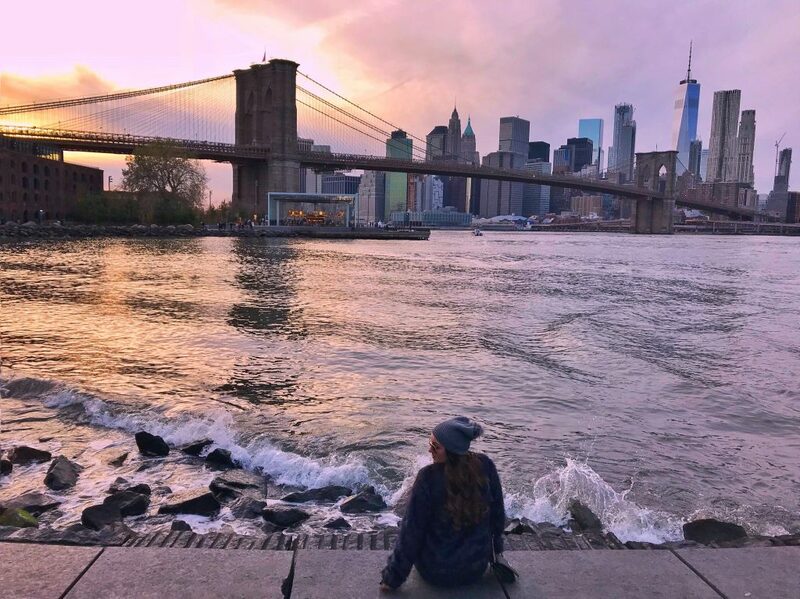 It’s a short walk to the Brooklyn Bridge, and a great base to explore the neighborhoods of DUMBO and Brooklyn Heights. 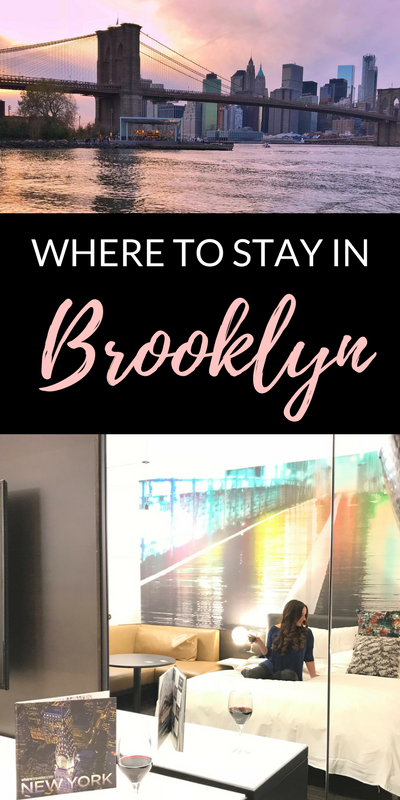 The location is perfect to explore Brooklyn for a weekend, being walking distance to tons of awesome restaurants, shops and places to go out at night. We loved walking along the Promenade which is full of photo spots to capture amazing shots of the NYC skyline and the bridges. A little insider tip: Don’t miss the brownstones on Remsen Street and the cute shops on Montague Street. Book your room at The New York Marriott at The Brooklyn Bridge to experience everything Brooklyn has to offer! Looks like such a great property and I love how they’ve taken inspiration for both decor and food from their local neighbourhood. I’d love to explore more of Brooklyn, I’ve never really visited it on my few fairly short trips to NY, so one to add to the list! Very nice and informative review. It would help as well if you would give us an idea as to the price range of stay here. Thanks. Great view from your room. I haven’t been to Brooklyn in so long that I’d forgotten how pretty it is, especially by the water and the bridge. Great location. Wow! Looks super luxurious! I love the amazing view of the Brooklyn Bridge from your room. Definitely going to check the hotel out when I’ll be flying New York one day! Wonderful review. 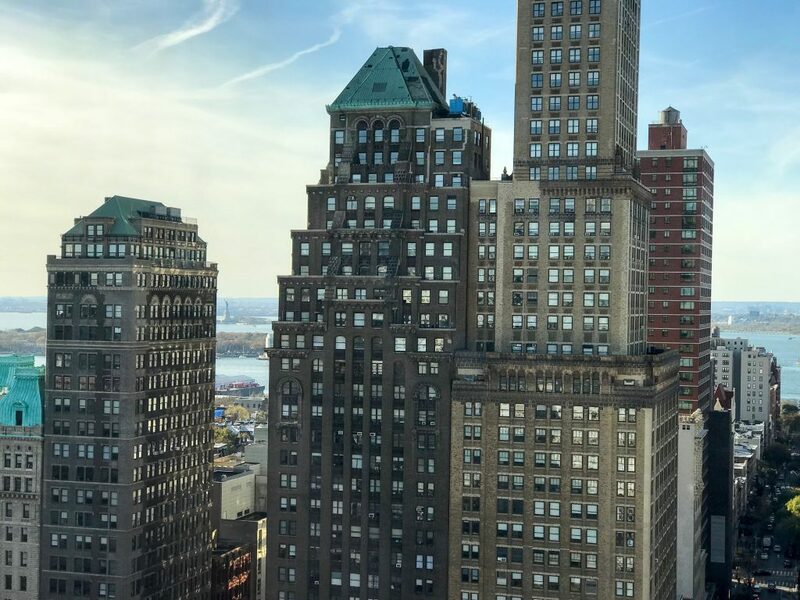 It looks like it would be pretty far out of my budget but a great place to recommend for someone looking to have the best New York experience. The video is a nice addition to the post. 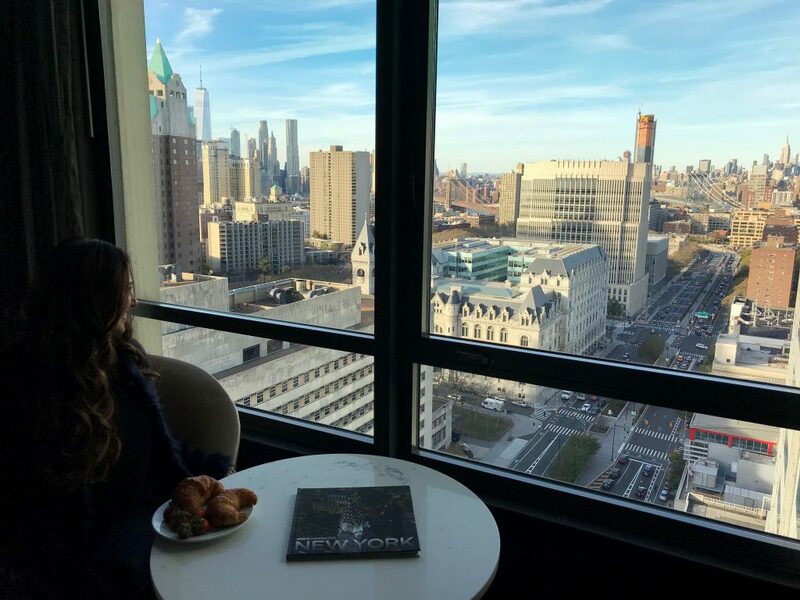 The room!The food!The spot!Oh dear, the Brooklyn Bridge Marriott is so beautiful…No wonder everyone’s dream is to visit New York someday and get to visit such cute places as this. A weekend there, I wouldn’t want to leave!Glad it was such an experience for you. This looks like an amazing place to stay! We usually end up staying in the heart of NY city, near Times Square. But would love to stay near the Brooklyn Bridge for a change! Brooklyn and Soho are my fav areas oh NYC. They are so vibrant and lively, the places where I really feel like home. Your way of telling brooklyn makes me miss it so much! I have never been to North America but hope that some day I can visit the Big Apple. 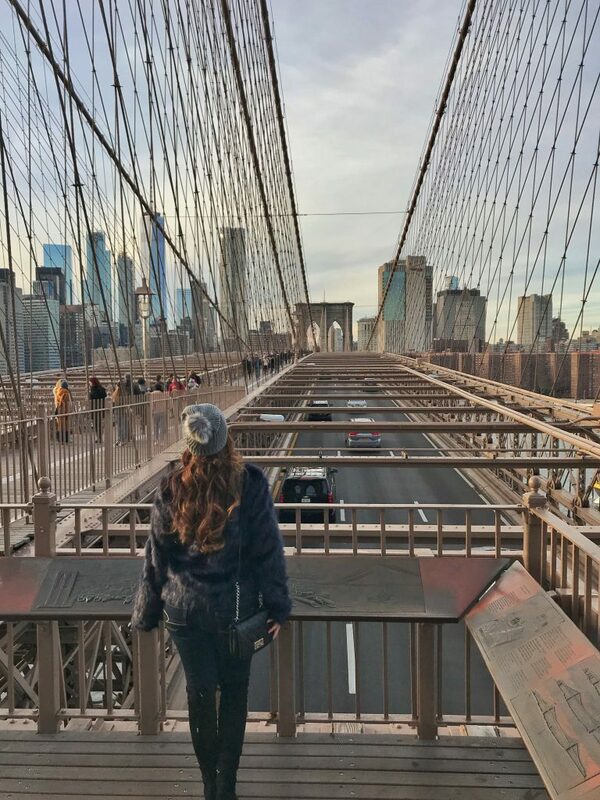 I love the picture of you with the view of the Brooklyn Bridge. 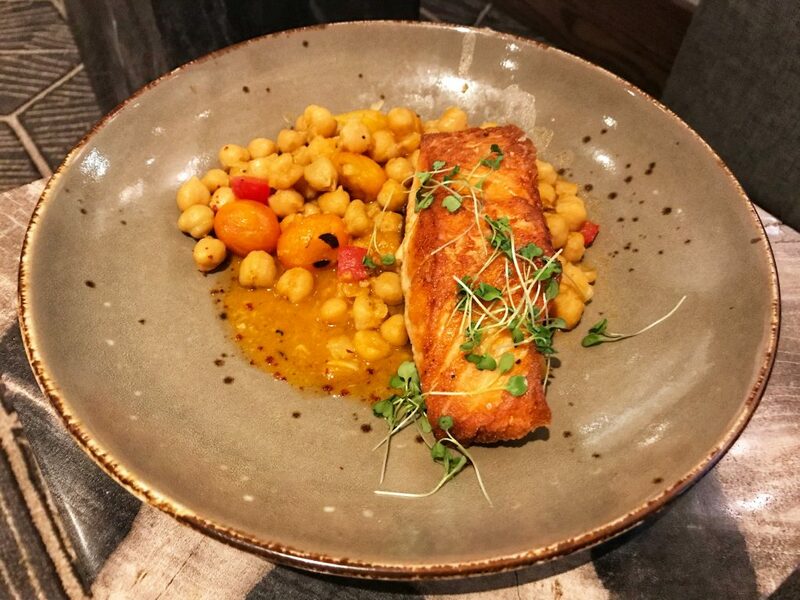 The hotel seems very comfortable and elegant and the food looks appetizing and well presented. WOW!! What a gorgeous hotel! That really is stunning and the views too! Gorgeous! I love the look of the breakfast, it’s somewhere I would love to stay! I want to visit NY. I have never been and am originally from Western NY, go figure! That bridge shot looks so neat. If I want I wouldn’t even know where to start, stay or play first. New York Marriott looks beautiful and super luxurious. I love the skyline views from the window. The room looks so cozy with that super comfy bed and earthly shades. Food looks mouth watering! Perfect place to stay in New York. Marriott at New York looks like a beautiful property. Loved the location of the hotel and its super luxurious feel! There’s no way we could have found a room this large in Manhattan at this price range. I like how this place is walking distance to local cafes, subways and just half a mile from the Brooklyn Bridge. The view from Brooklyn Bridge Marriott is so surreal and amazing !! The food also looks tempting to me. Seems like you had a great stay there !! I appreciate this post about NY. Hubby and I are planning a trip there for the summer. Thanks for sharing! This is such a lovely place to stay in if you’re ever in New York! 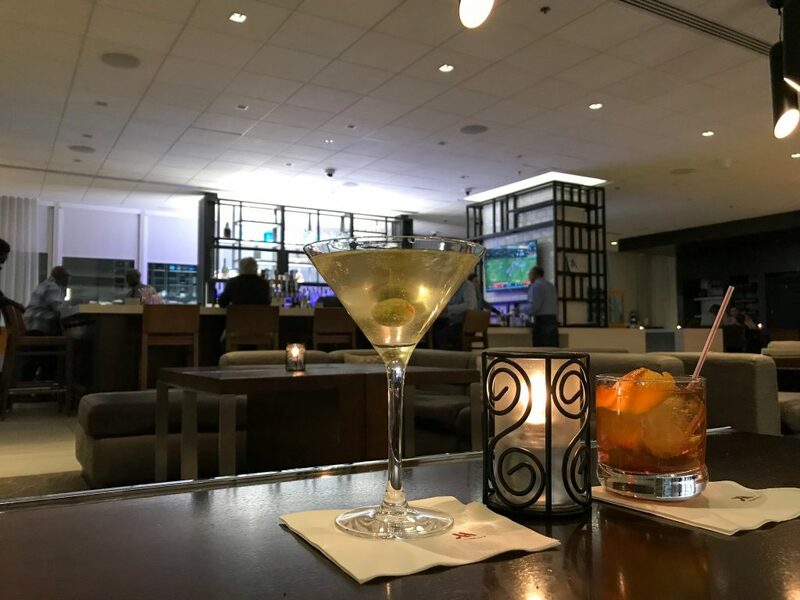 You get a beautiful view and fantastic service! You really can’t expect anything less from Marriott! That’s a plus that you were able to sign into your Netflix account. I considered staying there a couple times. Now I know what to expect if I ever do.